Home / MOVIE TRAILERS AND INFO / “JANE GOT A GUN” Now gets a new full trailer online! “JANE GOT A GUN” Now gets a new full trailer online! A new full trailer for Jane Got a Gun has just been released by Captive Cinema. The film stars Natalie Portman as the titular character who finds herself in the crosshairs of a notorious gang led by Ewan McGregor, who is out to kill her and her husband. So she seeks help from a former flame (Joel Edgerton) in hopes that they can stop the outlaws together. ‘Jane Got a Gun’ centers on Jane Hammond (Natalie Portman) has built a life on the rugged western plains with her husband Bill "Ham" Hammond (Noah Emmerich) and young daughter. When Ham stumbles home riddled with bullets after a run-in with the relentless John Bishop (Ewan McGregor) and his gang, she knows they will not stop until her family is dead. In desperation, Jane turns to Dan Frost (Joel Edgerton), a man from her past, for help. Haunted by old memories, Jane’s past meets the present in a heart-stopping battle for survival. 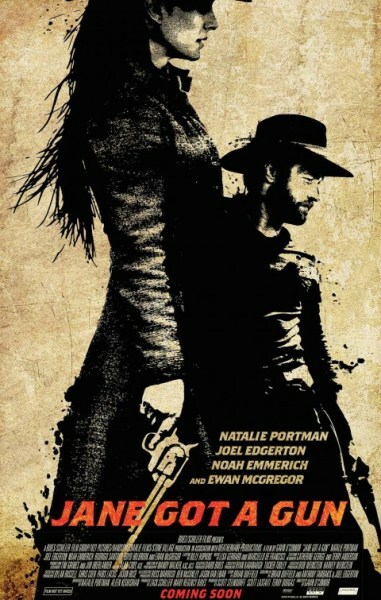 The epic love story told amidst the sprawling expanse of the American west, Jane Got a Gun stars Academy Award® -winning actress Natalie Portman, Joel Edgerton, Noah Emmerich, Rodrigo Santoro, Boyd Holbrook, and Ewan McGregor.